Springfield passed the Welcoming Community Trust Act tonight! Ensuring that we eliminate collaboration between ICE and the police and other city institutions! 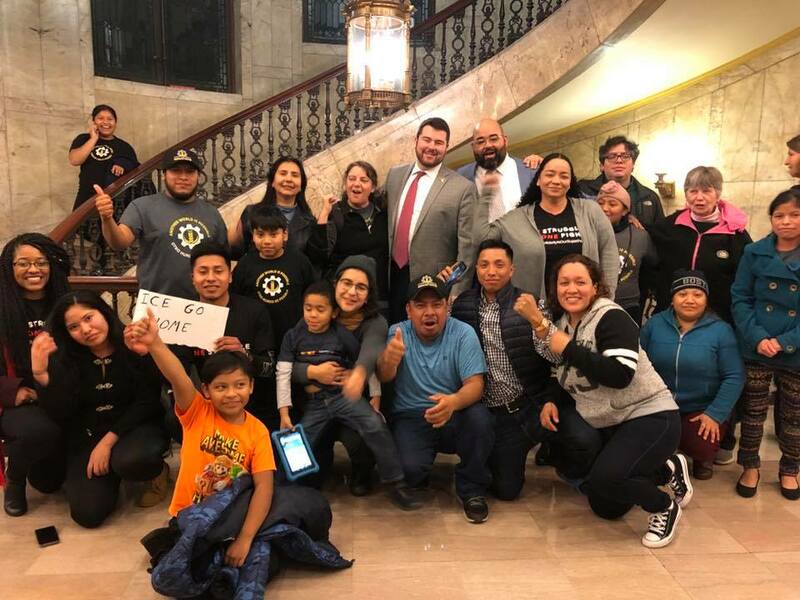 Tonight’s testimony from our larger community, from our immigrant members and from those on city council who stood with us was moving and will keep our movement strong and growing! Mayor Sarno has committed to vetoing this ordinance so we will need to grow our coalition and resolve and come back in January to show that we are unstoppable, another world is possible! Thanks to the Springfield City Council for standing up against racism and xenophobia! Thanks to lead sponsor Adam Gomez, Ward 1 Springfield City Councilor and cosponsors Jesse Lederman, Justin Hurst and Michael Fenton. Thanks to all the amazing groups we are in coalition with doing the hard work on the ground day in and day out building power and solidarity!